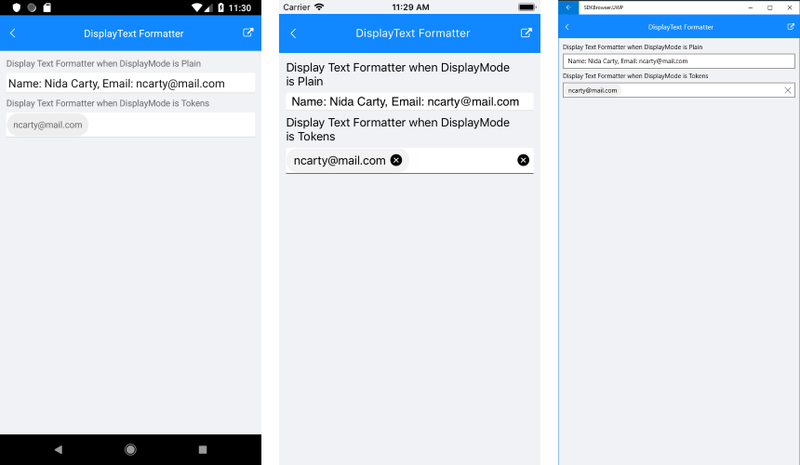 DisplayTextFormatter(IDisplayTextFormatter): Defines the formatter of the selected item. Set DisplayTextFortammer property and define the name of the property from the business object which will be displaied after formatting. Create a custom class that inherits from IDisplayTextFormatter and implement a custom logic how the selected item could be formatted. A sample DisplayText Formatter example can be found in the AutoCompleteView/Features folder of the SDK Samples Browser application.